UNITED NATIONS - The U.N. Security Council on Tuesday condemned Libyan leader Muammar Qaddafi's crackdown on anti-government protesters and demanded an immediate end to the violence. A press statement agreed to by all 15 council members expressed "grave concern" at the situation in Libya and condemned the violence and use of force against civilians, and "deplored the repression against peaceful demonstrators, and expressed deep regret at the deaths of hundreds of civilians." The council called for "steps to address the legitimate demands of the population, including through national dialogue." Council members said the Libyan government should "meet its responsibility to protect its population," act with restraint, and respect human rights and international humanitarian law. Council members also asked that international human rights monitors and humanitarian agencies be given immediate access, and appealed for humanitarian assistance amid reports of shortages of medical supplies to treat the wounded. The council underlined the need for the Libyan government to respect the rights to peaceful assembly, free expression and press freedom. The council issued the statement hours after Qaddafi vowed in a television address to keep fighting to his "last drop of blood" and urged his supporters to take to the streets, setting the stage for even more deadly violence. "With the U.N. Secretary General making unusually stern demands to end the violence and pressure mounting for the U.N. to act on requests for 'no-fly' zones or an arms embargo, the U.N. Security Council issued the weakest type of statement it can, a Press Statement, rather than a Resolution or Presidential Statement," said CBS News foreign affairs analyst Pamela Falk, from the U.N., "although the language sent a unified message of condemnation to the Libyan leader." 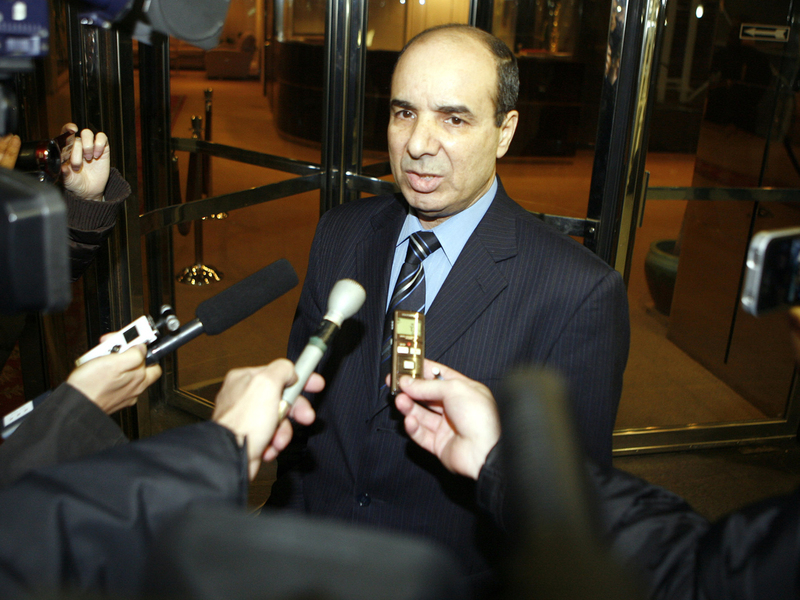 Libya's deputy U.N. ambassador Ibrahim Dabbashi, who has called for Qaddafi to step down, said the council statement was "not strong enough" but was "a good message to the regime in Libya about stopping the bloodshed." He said he had received information that Qaddafi's collaborators have started "attacking people in all the cities in western Libya." "It is almost unprecedented that the U.N. Security Council receives a request from a nation's diplomat -- here the Deputy Permanent Representative -- to act to condemn his or her host nation," Falk reports, "and at the afternoon session of the Council, both the Ambassador, who supports the government, and the Deputy Ambassador, who called the meeting, were there as dueling diplomats."